Jordan Brand announced that they will be releasing an updated edition of the Air Jordan 2012, which is reportedly scheduled for release for this year’s Holiday Season. Dubbed as the Air Jordan 2012 Lite EV, this updated edition of Jordan Brand’s signature shoe this year is lighter because of a different construction compared to the original Air Jordan 2012. The midsole also utilized injected foam paired with an Air Sole unit in the forefoot, giving us super cushioning and comfort. According to reports, four colorways of this shoe (models above) are scheduled for release. 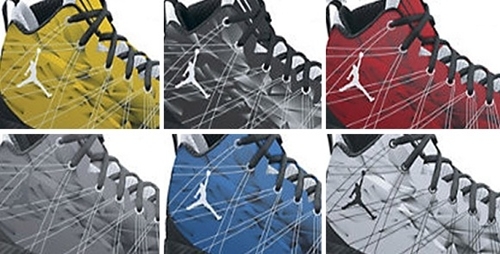 Jordans Out will be keeping you updated with this promising edition of the Air Jordan 2012.